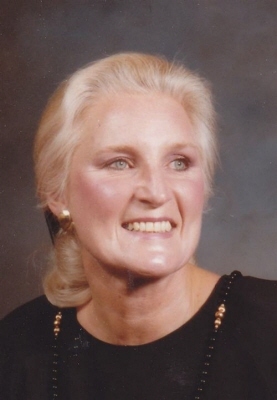 DANVERS – Nancy Dodge Hayes, CFP, 83, died Wednesday, August 22, 2018 at the Seasons of Danvers. She was the beloved wife of the late William F. Hayes. Born in Salem on February 20, 1935, she was the daughter of the late Harcourt W. and Germaine (Deschamps) Dodge. She grew up in her beloved Hamilton. Nancy was the Founder and President of Nancy Dodge Hayes Financial & Investment Planning. She was also once the Executive Assistant at Two Ten Associates, a philanthropic foundation that assisted businesses in the shoe and leather industry, and Executive Assistant for Mobil Oil Co. and W.R. Grace & Co. She had also worked at New England Life and Kidder, Peabody & Co. While she was in Boston, she sang for the St. Cecilia Society in many concerts. She and her husband would entertain people on the North Shore and the Lenox Hotel in Boston. Music was always a big part of her life. Her philosophy was to always look for the positive in life and when meeting people, she would bring that out. Her greeting for individuals was, “I will love you now and forever and forever never ends.” Our love for her will never end and we are thankful for all the love she gave in her life. The family wishes to thank ALL of the staff at Seasons of Danvers for all the love and happiness you gave her, Care Dimensions for their dedicated care and First Look for watching over her at night. She is survived by her daughter, Nancy Loader and her husband, Wayne of Millbury; three granddaughters, Shannon, Mandy and Devon Loader; one brother, James Dodge; sister-in-law, Claire Dodge and two nephews, Garvin and Glenn Dodge and two nieces, Debbie Dodge and Wendy McCoole. She was also predeceased by her brother, Charles Dodge. Her funeral service will be held on Wednesday, August 29th in the Campbell Funeral Home, 525 Cabot St., Beverly at 10 a.m. Relatives and friends are cordially invited to attend. Interment will be held in Hamilton Cemetery. Expressions of sympathy may be made in her memory to the Alzheimer’s Assoc., c/o Seasons of Danvers, 44 Summer St., Danvers, MA 01923. Information, directions and condolences at www.campbellfuneral.com. To send flowers or a remembrance gift to the family of Nancy Dodge Hayes, please visit our Tribute Store. "Email Address" would like to share the life celebration of Nancy Dodge Hayes. Click on the "link" to go to share a favorite memory or leave a condolence message for the family.